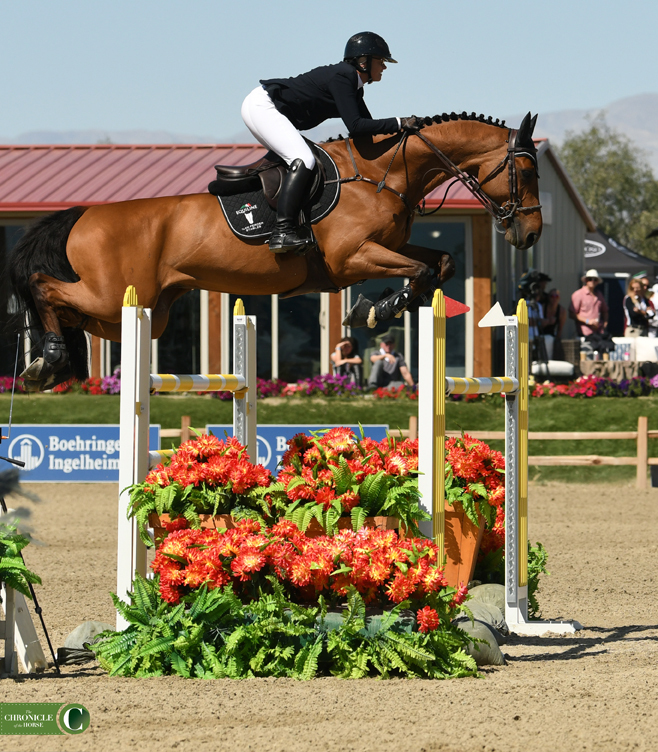 Watching the horse before his turn to ride the jump-off in the AIG $1 Million Grand Prix Nayel Nassar’s heart sank a bit. 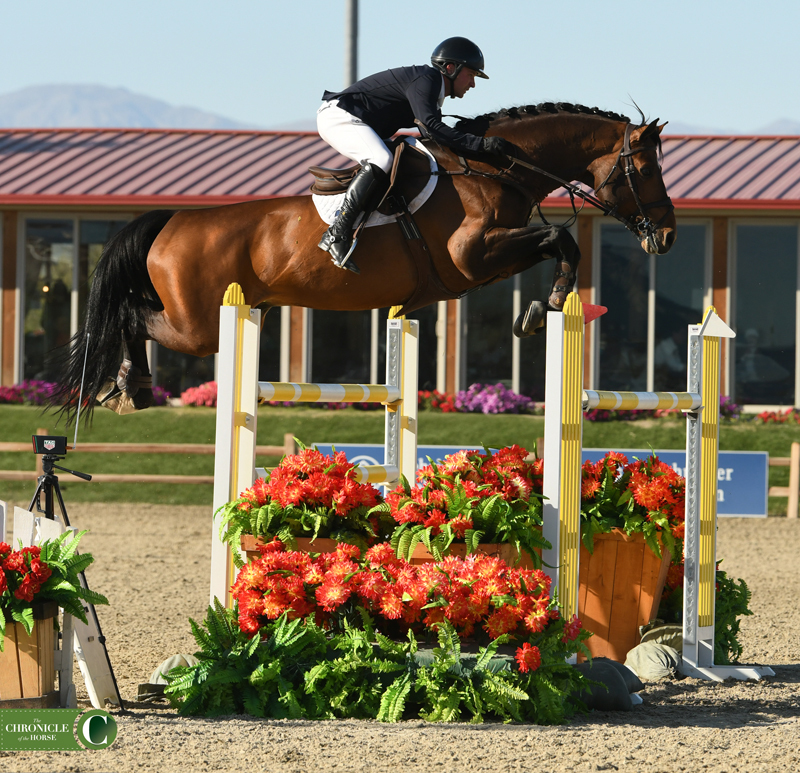 Nassar put his foot on the gas with Lordan, but his premonition proved right as he couldn’t catch Madden and Darry Lou’s efficient jump-off trip. And no one managed that. Nassar and Lordan took second, and Ali Ramsay and Hermelien VD Hooghoeve stayed clean for third. Beezie Madden thanked Darry Lou for a great round. 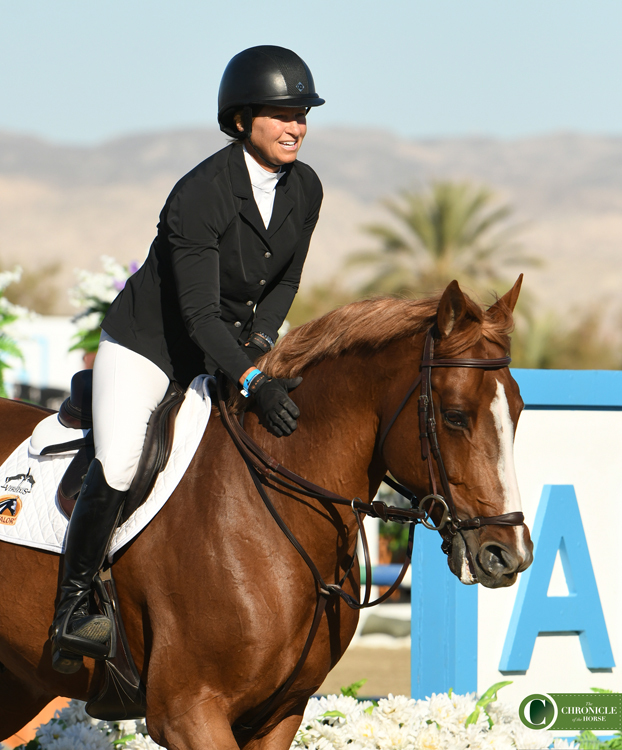 Beezie Madden won her third $1 million grand prix on the HITS circuit, this time on Darry Lou. Six of the 57 starters found a clear path around Bernardo Cabral’s first round track, with poles falling all over the course. 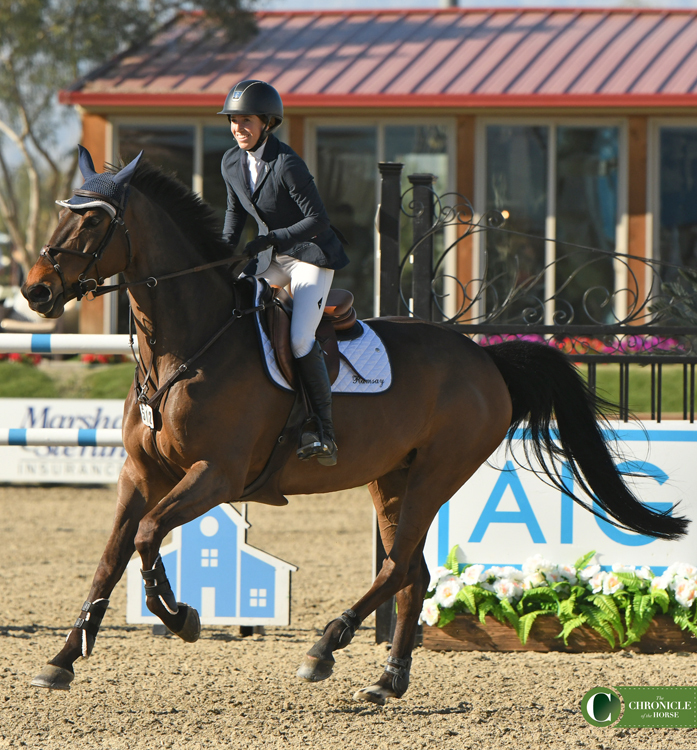 The start list included a solid continent of horse-rider combinations from across the country—10 or so East Coasters flew in just for the class—as well as some young riders and up-and-coming horses. Last year’s winners, Nayel Nassar and Lordan, had to settle for second this time around. 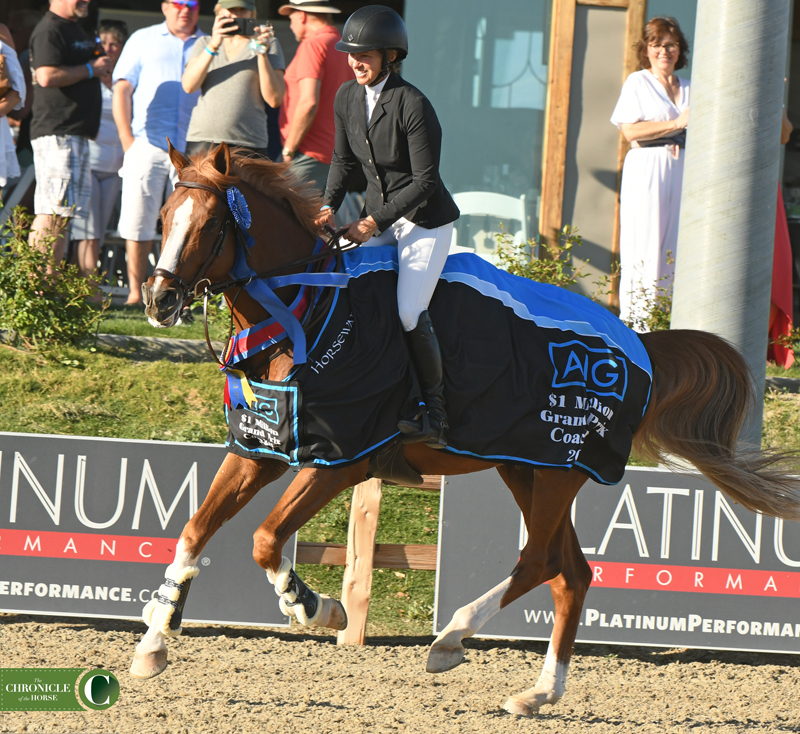 Madden has now won million-dollar classes at all three HITS venues that offer them, most recently taking the top check at HITS Ocala (Florida) last year. Ali Ramsay was thrilled to finish third aboard Hermelien VD Hooghoeve. 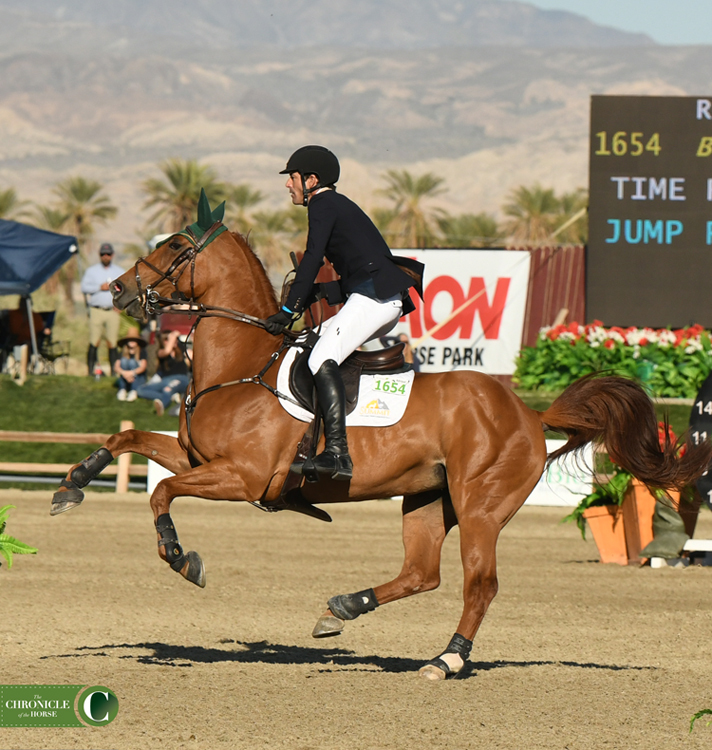 Nassar won last year’s million-dollar class at Thermal, but he wasn’t disappointed to have a red ribbon on Lordan’s bridle this time around. 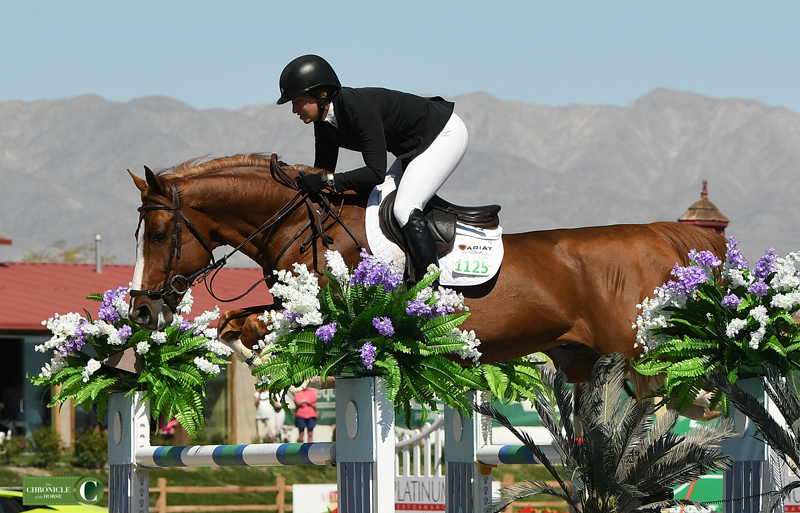 The pathfinders in the jump-off Erynn Ballard and Fellini S jumped to overall fourth. And Ramsay was thrilled with her podium finish. She’s been aiming her mount toward this class all season. 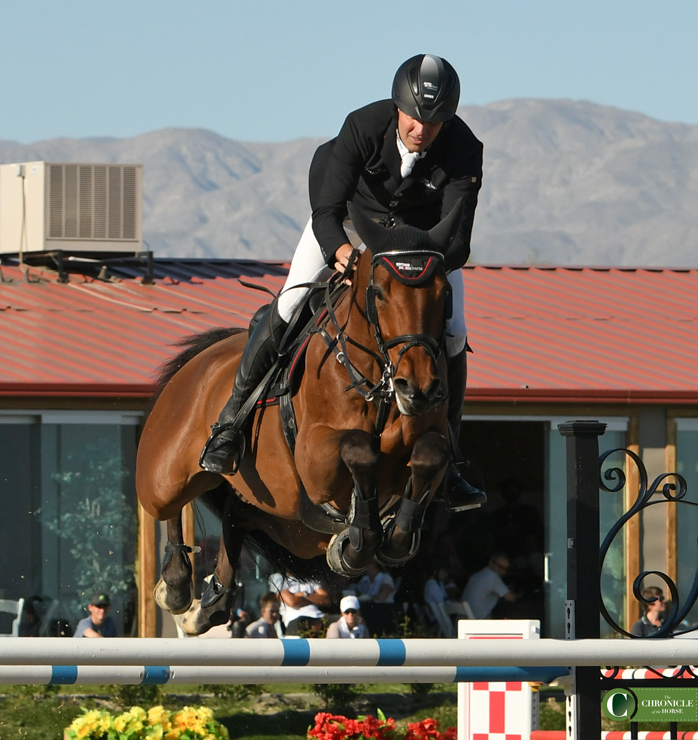 Nassar and Madden will both head to the next stop on the million-dollar tour in Ocala next weekend. The lively Blue Movie and Rowan Willis galloped to fifth. 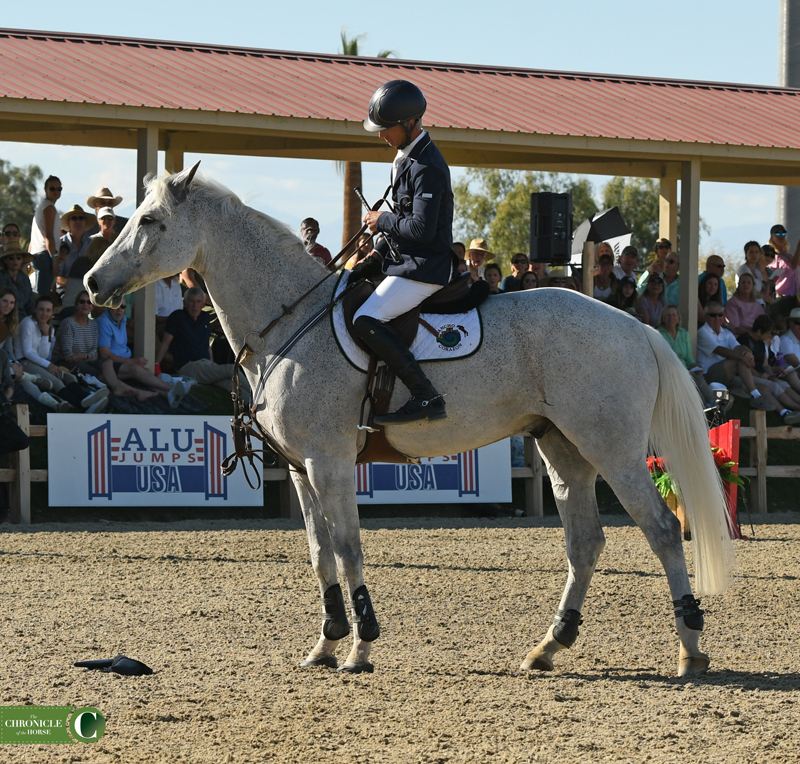 Andre Thieme has won several $1 million grand prix classes on the HITS circuit, but this time he finished sixth on Aretino 13. 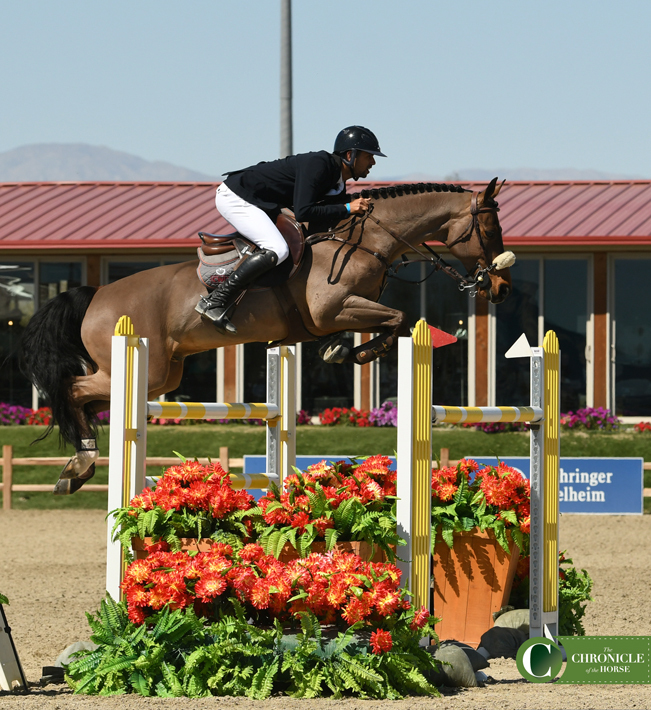 A single time fault kept NKH Carrido and Mathis Schwentker out of the jump-off, but they finished seventh. 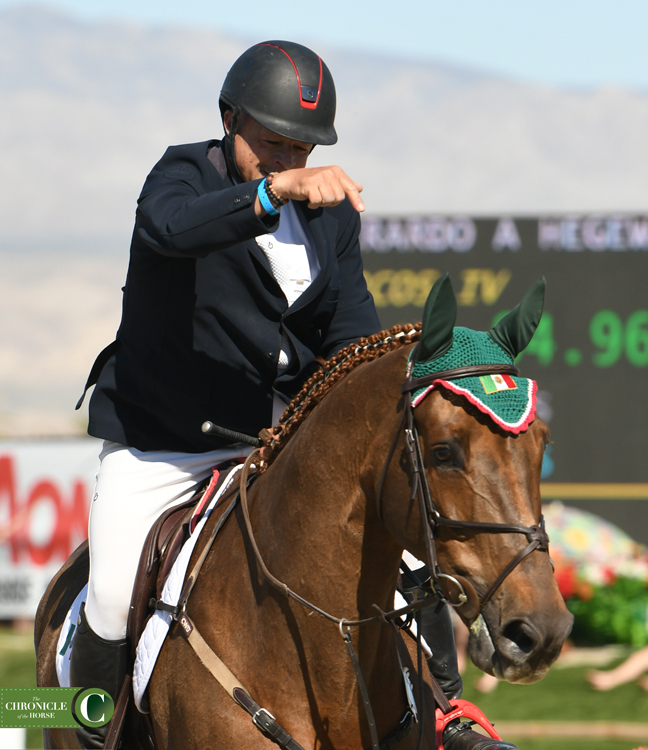 Eighth-placed Everardo Hegewisch wanted everyone to know that Ircos IV is the real star. Quirado RC’s bridle slipped off at the end of Richard Spooner’s trip, but they took it in stride, dismounting and calmly walking out of the ring. Want more from HITS Coachella? Check out our website and be sure you’re following us on Facebook, Twitter and Instagram @chronofhorse. Plus pick up the April 8 issue of The Chronicle of the Horse magazine. What are you missing if you don’t subscribe?